One of the problems of marine fish farming is to find suitable sources of fish food. During their early stages of growth, fish larvae require very small food particles and some take only live food. This need for bulk production of suitable planktonic foods adds to the other problems of fish farming. Even if live food is not essential, minced fish and similar finely divided foods are very prone to bacterial contamination and consequent detrimental effects. There is some hope that the invention of microcapsules as artificial food particles may prove to be a useful contribution to aquaculture. Precise mixtures of food materials suited to the requirements of particular organisms can now be encapsulated within artificial membranes, producing particles of controlled composition and size, some of which are readily accepted as food by certain small organisms or by filter feeders (Jones et al, 1974; 1979). Many of the currently farmed finfish species around the world, especially those in Europe and America, are carnivorous, requiring relatively expensive animal food. The farming of carnivorous animals obviously reduces rather than augments the supply of animal protein. In addition, most of the fish farming at present undertaken in developed countries converts fish meat from one form to another. The species used in the feed products are not just those that are unpalatable to us. So-called 'industrial' fishing scoops up huge quantities of young edible species and includes herring, anchovies and, in the UK, sandeels. These are converted to fishmeal which is used for feeding chickens and other livestock as well as cultured salmon and other farmed fish. This is obviously not an efficient way of providing protein to the human population. 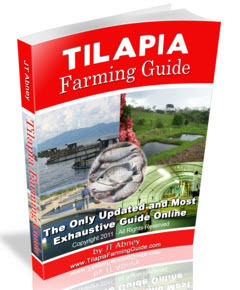 Variations in the supply of wild fish suitable for conversion to fish food sometimes cause changes in the quality of the food over which the farmer has no control and which may be detrimental to his stock. An ideal fish food would be made from materials unsuitable as human food or for feeding to other livestock, presented in dry, easily stored and handled forms, readily accepted by the fish, nutritionally complete, easily digested and assimilated efficiently, pathogen-free and cheap. No food combining all these properties has yet been developed, although work is being done on producing protein-rich and nutritionally adequate fish foods from soya and other plant material. Cultivation of vegetarian species avoids the need for expensive, high-protein food. In Asia, vegetarian species such as the milkfish (Chanos chanos) do well in captivity. The only European marine fish which feed largely on vegetable matter and are well suited to culture are grey mullet, but their flesh is not widely popular. Bivalve molluscs do not need to be fed artificially as they filter phytoplankton from the water. Another major problem facing the continued expansion of mariculture as a means of providing more protein to a hungry population is the increasing coastal pollution throughout the world. Whether the mariculture units used are based onshore or in the natural marine environment, they rely on a good supply of clean seawater. Larval stages of many marine species are sensitive to pollution. In addition, the flesh of captive fish can become 'tainted' from pollution incidents such as oil spills. Shellfish can also accumulate heavy metals and toxic chemicals and become dangerous to eat. Blooms of plankton (red tides) caused by eutrophication of coastal waters can also produce toxins that are accumulated by shellfish.